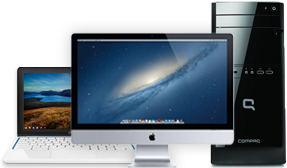 Our computer support services provide all you need to keep your computer running smoothly. From data transfer and virus removal to a comprehensive healthcheck for your Windows PC, our Team Knowhow experts are here to help. We understand small issues can sometimes be the biggest, so we provide a month tech support to make sure you're covered.